IDS West | Straight Line Designs Inc.
We had a great time meeting people at IDS West his year! The booth looked great and we had a load of people coming to look the new Sally Dresser! She was the perfect piece to feature, what with the show occurring so close to Halloween. Jud also introduced his new “Quilted” Series! More of these will be appearing in his upcoming Japan show at 100% Design Tokyo. He will also be doing a presentation entitled “Environmental Design & Wood” featuring his work with Pine Beetle Wood. Jud has been experimenting with how we can be more resourceful in making use of wood that would otherwise be thrown away. 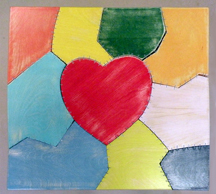 The effect of putting these small scraps together came out rather like a quilt. We’ll see where this route takes us! 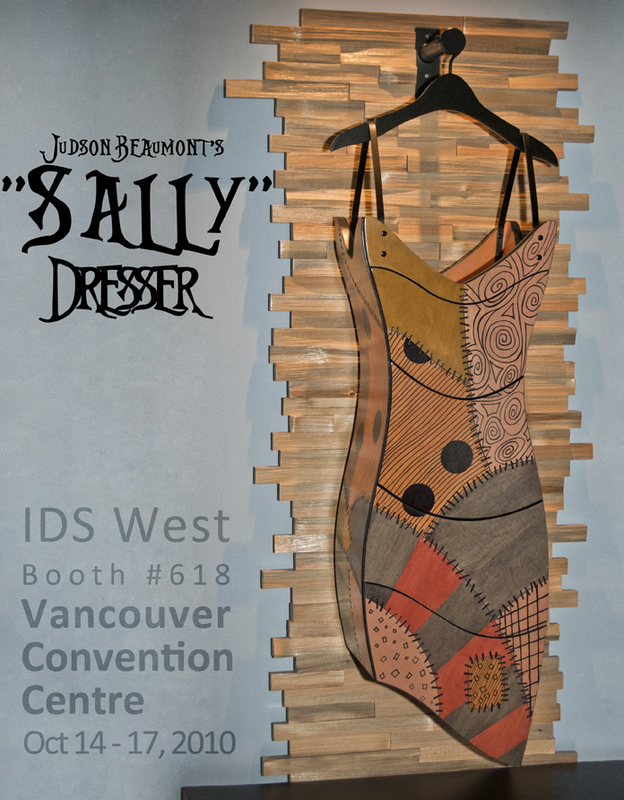 This entry was posted in Furniture, IDS West, Trade Show and tagged quilted, quilted furniture, recycle, reuse, Sally, Sally Dresser, stitched, Tim Burton. Bookmark the permalink.